Will Hardik Pandya and KL Rahul be eligible to play IPL 2019? 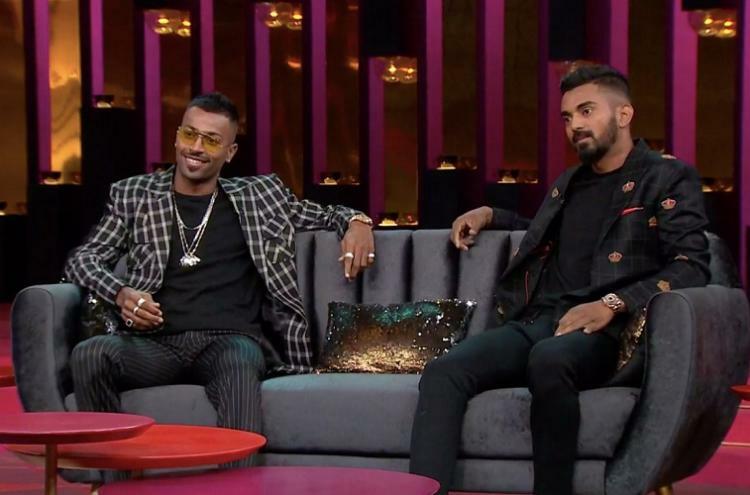 You all might be familiar with the recent Hardik Pandya’s dirty talks on Coffee with Karan. Hardik Pandya is being roasted brutally for his misbehaviour and both Hardik and Rahul got a suspension during the Australia series. While KL Rahul did nothing expect being with Hardik, on the other side Hardik talked about the racism and told how their parents were proud to have a son like him who has been in different relationships. He totally talked in the way as if women were a toy and he can do whatever he wants with them. This hurted me too as I liked hardik Pandya but it’s not the case right now. I was totally embarrassed to see him talking that way and so are his fans. Well, due to his misbehaviour, he has created a trouble for himself. As per the reports, He might be banned to play in IPL 2019 but it’s not confirmed yet. KL Rahul on the otherhand will be eligible to play in IPL 2019 as he had done nothing wrong. So he doesn’t deserve further punishment. If Hardik Pandya misses IPL 2019 then it might be a disaster for Mumbai Indians. There is no any replacement available for him currently so it will be a hard time for MI management. His absence in the team will make their lower order weak and the biggest problem is that they might not win IPL 2019 with absence of player of such caliber. The further announcement on these duo will be made soon so let’s wait for the time being. Many people are so much angry with Hardik that they want him to get a permanent banned from cricket. I’m sorry to say that he doesn’t deserve such a harsh punishment. He made a mistake and he knew it too and he has asked for forgiveness. So we shouldn’t be too harsh on him as he is also a human and humans make mistakes but the great part is if he learns from it or not. What do you think? Should they be given chance to play in IPL 2019 or not? Previous Can CSK defend their title in the IPL 2019?